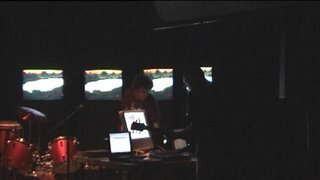 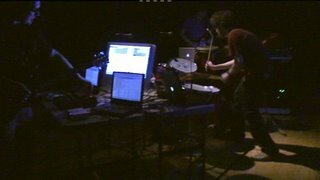 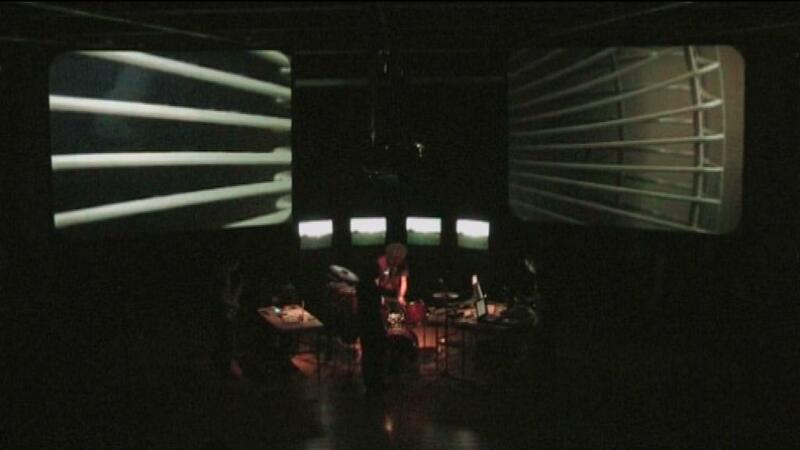 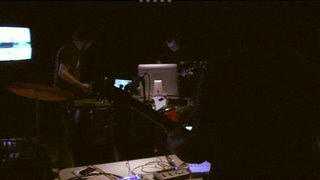 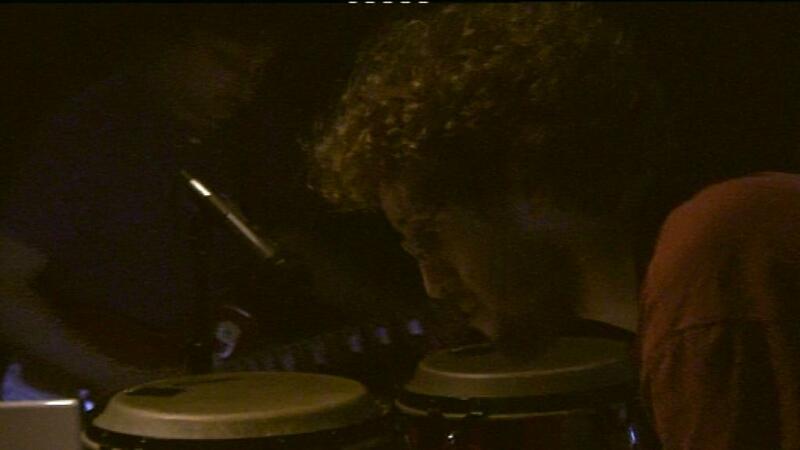 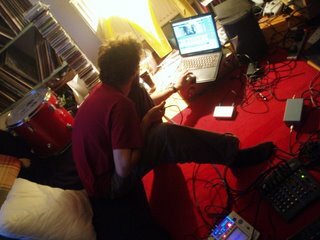 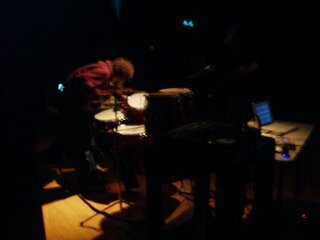 The video of the Experimentica performance is finished and the dvd is on the way. 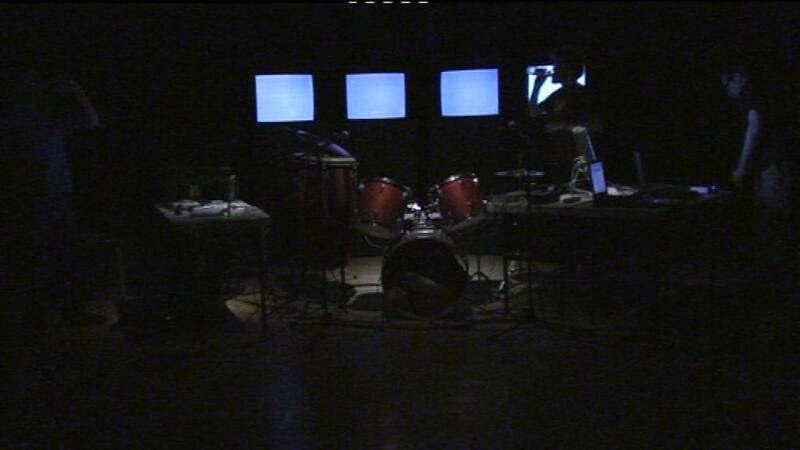 In the meantime here are some screen grabs from the finished cut. 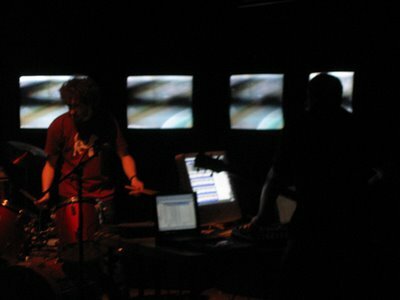 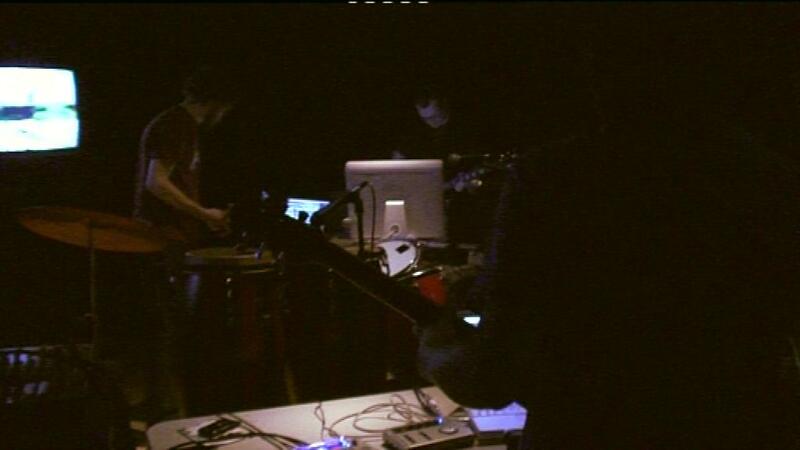 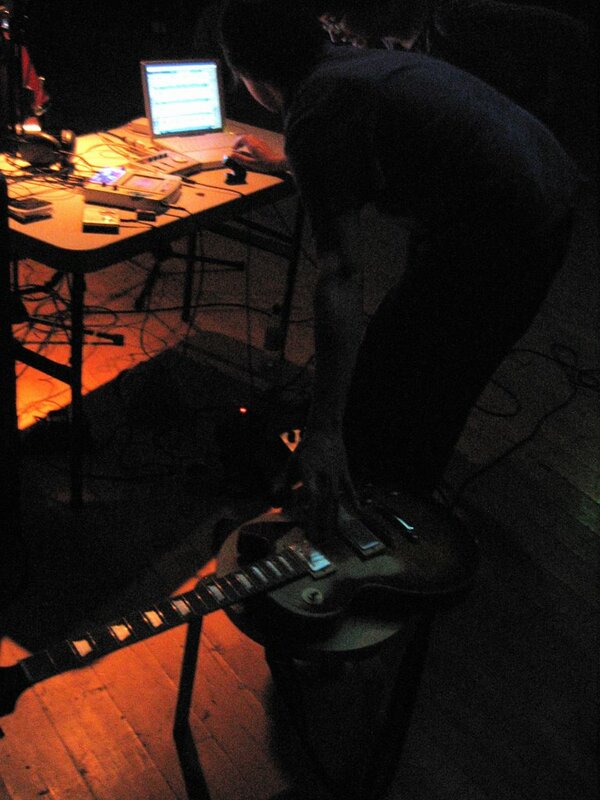 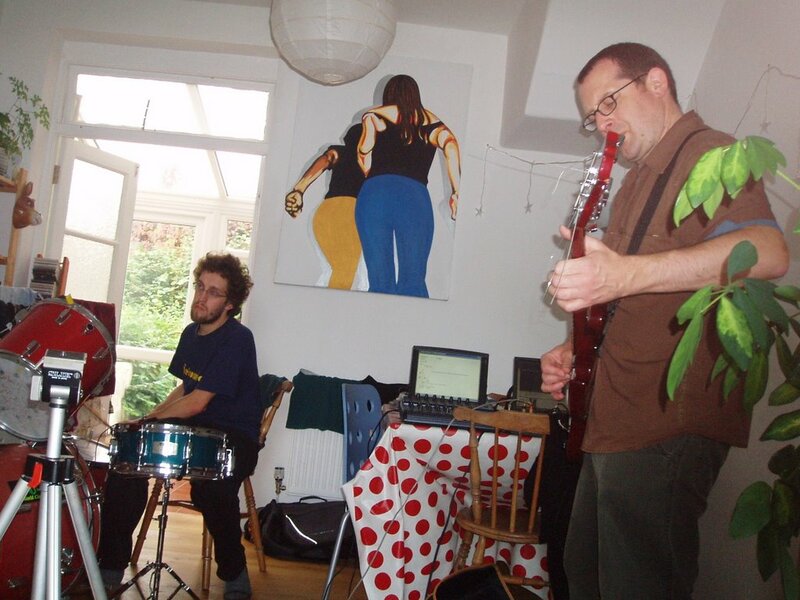 Experimentica, Chapter, Cardiff, 14th October 2006.... 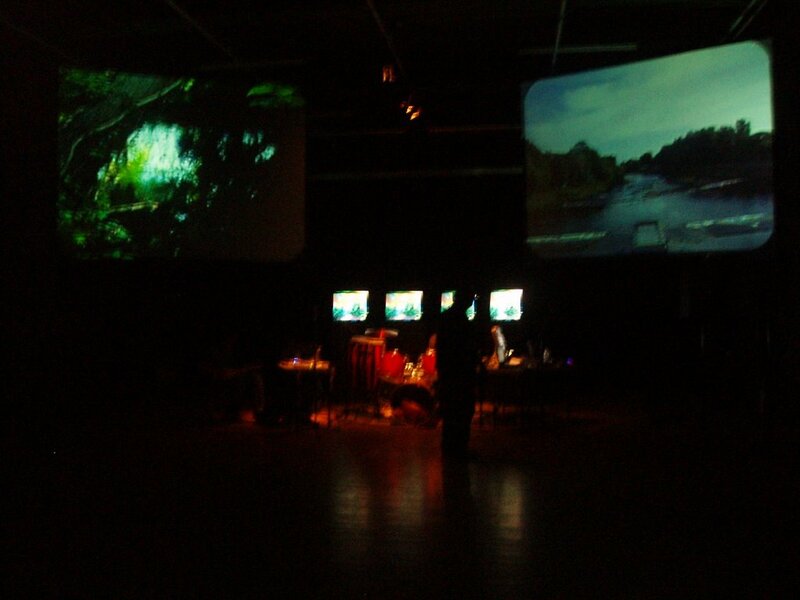 So in this instance the action takes place on 2 projection screens and a series of monitors. 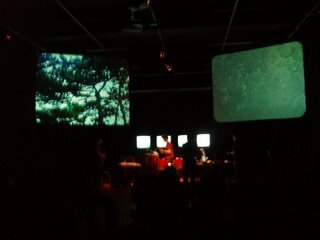 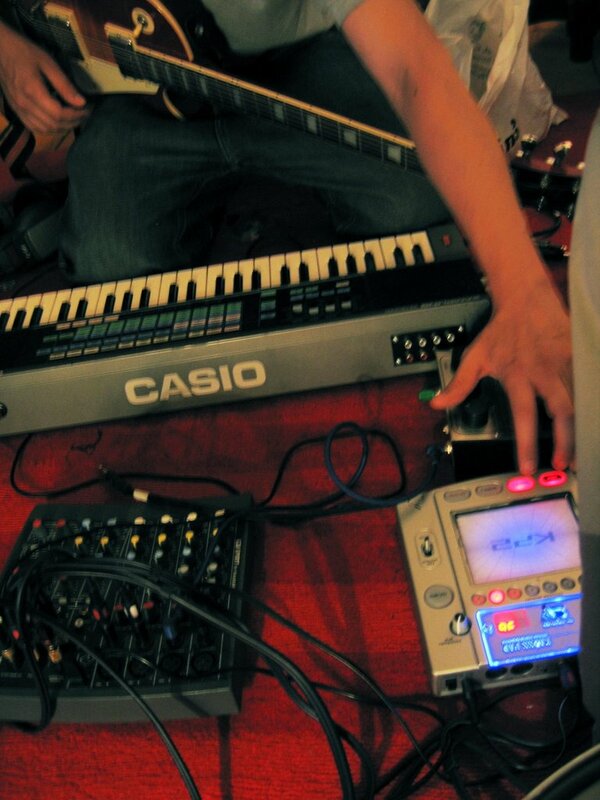 Each player has control of the images projected and displayed via note values or switches supplied by their instruments. 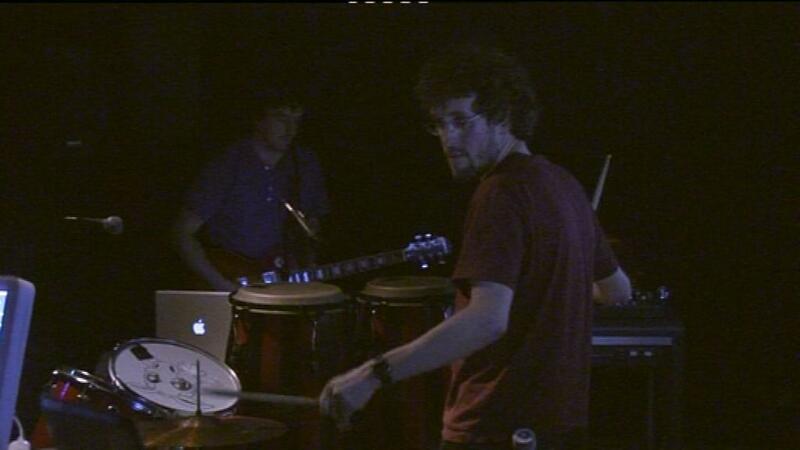 In this case Guitars and drums, this may change in future to suit the venue. 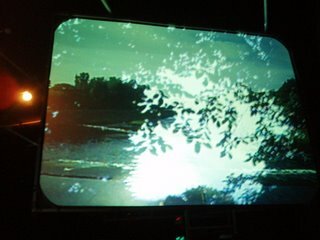 The video imagery is altered over time so that the choice of images displayed reflects the musical direction. Each player is in control of chosen video banks and therefore each player decides when their sonic output has moved into new territory and how or when the video follows this direction. 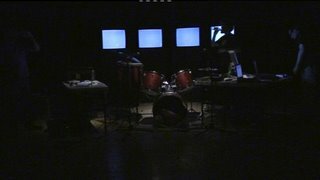 Previously this experiment had only been undertaken on a smaller, domestic scale using television sets and computer monitors.